The African nation of Zimbabwe issued the country’s first license to a medical marijuana company earlier this month, according to a report from Marijuana Business Daily. 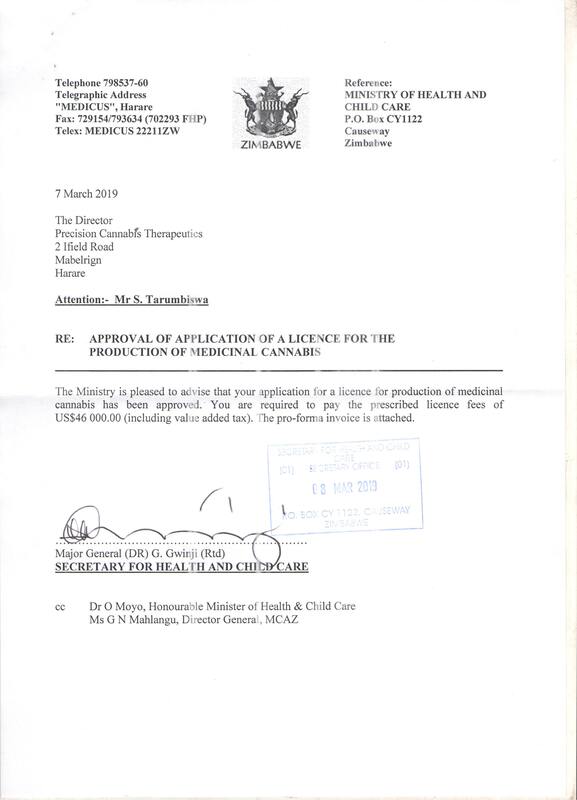 In a letter obtained by the publication that is dated March 7, Zimbabwe’s Ministry of Health and Child Care informed Precision Cannabis Therapeutics Zimbabwe that the company’s application to produce medical cannabis had been approved. The letter notes that the authorization was being issued pending payment of a license fee of US$46,000. Zimbabwe legalized the cultivation of cannabis for medicinal and scientific purposes last year. Although the program was put on hold shortly thereafter in June, regulations to license producers and export cannabis have been put in place. The law also permits licensed producers to mail medicinal cannabis to authorized patients, but a system to approve patients has not yet been established. The legislation allows for the regulated production of goods including fresh and dried marijuana, cannabis oil, live plants, and seeds. Mandated cultivation and processing standards are higher than those enacted by the Canadian government. According to reports in local media last month, the government of Zimbabwe was processing applications to produce cannabis from 37 companies. Nathan Emery, the chief operating officer of Precision Cannabis Therapeutics Zimbabwe, said that the country was encouraging broad economic development. “The government of Zimbabwe is open for business and welcomes investors in all sectors of the economy, including licensing for the production of medical cannabis,” he said. Lesotho was the first country in Africa to grant a license for the cultivation of cannabis for medical and scientific purposes and last year made its first export of the crop to Canada. Rhizo Sciences, a Seattle company that has an exclusive supply agreement with Lesotho cannabis producer Medi Kingdom, reported that the shipment would be analyzed by a laboratory before being used for research and development purposes. Dallas McMillan, the CEO of Rhizo Sciences, said that the company planned to provide medical marijuana to vertically integrated cannabis companies in Canada. 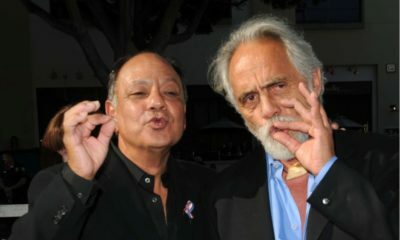 After the action by Lesotho encouraged investment from international corporations eager to take advantage of the country’s cannabis opportunities, several other African nations including Ghana, South Africa, Swaziland, and Zambia have initiated efforts to legalize marijuana for medical purposes. Is Morocco The Latest Hot Pot Travel Spot?